Charges have been filed against a suspect arrested in the assault of a man that occurred at 2900 Cleburne Street about 11:30 p.m. on Wednesday (January 30). 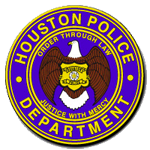 The suspect, Serpio Horne (b/m, 25), is charged with assault with bodily injury in Harris County Criminal Court #14. A booking photo of Horne is not available for release at this time, as he remains hospitalized. A homeowner got into an argument with a male (Horne) who attempted to park in the homeowner's driveway of his residence at the above address. Horne parked his vehicle and went into a club across the street from the residence. The homeowner left his home and when he returned, he was confronted by Horne again. Horne then struck the homeowner in the face with his fist. In fear of his life, the homeowner shot Horne one time in the neck. Horne was then transported by HFD paramedics to the hospital. After further investigation and consulting with the Harris County District Attorney's Office, Horne was charged for his role in the incident. The District Attorney's Office declined charges on the homeowner.